Passive optical network (PON) has been widely applied in the construction of FTTH (fibre to the home). With PON architecture, network service providers can send the signal to multiple users through a single optical fibre, which can help them save great costs. To build the PON architecture, optical fibre splitter is necessary. 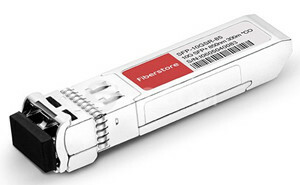 The fibre splitter is a passive component specially designed for PON networks. Fibre splitter is generally a two-way passive equipment with one or two input ports and several output ports (from 2 to 64). Fibre splitter is used to split the optical signal into several outputs by a certain ratio. If the ratio of a splitter is 1×8 , then the signal will be divided into 8 fibre optic lights by equal ratio and each beam is 1/8 of the original source. The splitter can be designed for a specific wavelength, or works with wavelengths (from 1260 nm to 1620 nm) commonly used in optical transmission. Since fibre splitter is a passive device, it can provide high reliability for FTTH network. Based on the production principle, fibre splitters include Planar Lightwave Circuit (PLC) and Fused Bionic Taper (FBT). The following figure shows a PLC splitter. The optical fibre is splitted into 32 outputs. PLC chip is made of silica glass embedded with optical waveguide. The waveguide has three branches of optical channels. When the light guided through the channels, it is equally divided into multiple lights (up to 64) and transmitted via output ports. Bare splitter is the basic component of PLC fibre splitter. For better protection of the fragile fibre and optimised use, PLC splitters are often equipped with loose tube, connector and covering box. PLC splitters are made in several different configurations, including ABS, LGX box, Mini Plug-in type, Tray type, 1U Rack mount, etc. For example, 1RU rack mount PLC splitter (as shown in the figure below) is designed for high density fibre optical distribution networks. It can provide super optical performance and fast installation. This splitter is preassembled and fibres are terminated with SC connectors. It’s ready for immediate installation. FBT splitters are made by connecting the optical fibres at high temperature and pressure. When the fibre coats are melted and connected, fibre cores get close to each other. Then two or more optical fibres are bound together and put on a fused taper fibre device. Fibres are drawn out according to the output ratio from one single fibre as the input. FBT splitters are mostly used for passive networks where the split configuration is smaller. Fibre splitter is an economical solution for PON architecture deployment in FTTH network. It can offer high performance and reliability against the harsh environment conditions. Besides, the small sized splitter is easy for installation and flexible for future network reconfiguration. Therefore, it’s a wise choice to use fibre splitter for building FTTH network. This entry was posted in Fiber Splitter, FTTH Network and tagged FBT splitter, Fiber splitter, PLC splitter on January 5, 2017 by Admin. Enabling a single fibre interface to be shared among many subscribers, fibre optic splitters play an increasingly significant role in many of today’s optical networks. From FTTx systems to traditional optical networks, splitters provide capabilities that help users maximise the functionality of optical network circuits. In this article, I’d like to give a short introduction of fibre optic splitters. In simple terms, a fibre optical splitter is a passive optical device that can split, or separate beams into two or more light beams. Based on the configuration of the splitter, these beams may or may not have the equal optical power as the original beam. By means of different constructions, the outputs of a splitter can have varying degrees of throughput, which is highly beneficial when designing optical networks. Now although technology continually evolves, and there are a variety of existing splitters in the market, the most two common types of fibre optic splitter are: fused biconic tapered splitter (FBT Splitter) and planar lightwave circuit splitter (PLC Splitter). FBT is the traditional technology in which two fibres are placed closely together and fused together by applying heat while the assembly is being elongated and tapered. As the technology continues developing, the quality of FBT splitter is very good and they can be applied in a cost-effective way. Now FBT is designed to split power in optical telecommunication and widely used in passive networks, especially where the split configuration is relatively small. PLC splitter is a better choice for application where large split configurations are required. It uses an optical splitter chip to divide the incoming signal into multiple outputs. PLC splitter composes of three layers: a substrate, a waveguide, and a lid. The waveguide plays a key role in the splittering process which allows for passing specific percentages of light. Therefore, PLC splitters offer very accurate splits and a low loss. What’s more, PLC splitters have several types such as bare PLC splitter, blockless PLC splitters, fanout PLC splitter, mini-plug in type PLC splitter, etc. With the growth of FTTx worldwide, in order to serve mass subscribers, the demand for large split configurations in these networks has also grown quickly. Because of the performance benefits and overall low cost, PLC splitters are now the better solutions for these types of applications. In optical networks, signals need to be splitted somewhere in order to serve for different customers. Splitter technology has made great progress in the past few years by introducing PLC splitter. However, being similar in size and outer appearance, the two types of splitter still have many differences. Here is a brief comparison of them. FBT splitter is made out of materials that are easily available, for example, steel, fibre, hot dorm and others. All of these materials are cheap, which determines the low cost of the device itself. The technology of the device manufacturing is also relatively simple, which leads to its low prices as well. Compared with FBT splitters, the technology of PLC splitter is more complicated and expensive. It uses semiconductor technology production. Hence it is more difficult to manufacture PLC splitters. And the price of the device is higher. FBT splitters only supports three wavelengths: 850 nm, 1310 nm and 1550 nm, which makes its inability to works on other wavelengths. While PLC splitter can support wavelength from 1260 to 1650 nm. The adjustable rang of wavelength allows PLC splitter more wide applications. The split ratio of FBT splitter is up to 1:32, while the ratio PLC splitter goes up to 64, providing a high reliability. Furthermore, the signal in PlC splitter can be split equally due to technology implemented. In certain areas, temperature can be a crucial factor that affects the performance of optical components. Therefore, sometimes devices with good cold resistance is also vital. FBT splitter can work stable under the temperature of -5 to 75℃. PLC splitter can work at a wider temperature range of -40 to 85 ℃, providing relatively good performance in the areas of extreme climate. Apart from the differences mentioned above, there are still other differences between FBT splitter and PLC splitter. For example, compared with FBT splitter, the size of PLC splitter is more compact. Hence, PLC spitter is more suitable for density applications. In conclusion, this article introduce the fibre optical splitters and the differences between FBT splitter and PLC splitter. It’s significant to choose the most suitable splitters for your networks. There are a variety of splitters avaible in Fiberstore. If you want to know detailed information, please visit FS.COM. This entry was posted in Fiber Optic Network, Fiber Splitter, FTTH Network and tagged FBT splitter, FTTX network, PLC splitter, PON on August 22, 2016 by Admin. How to Ensure a High Quality PLC Splitter? PLC (Planar Lightwave Circuit) splitter is an important component in PON (passive optical network) where a single optical input is split into multiple outputs. This makes it possible to deploy a Point to Multi Point physical fibre network with a single OLT (optical line terminal) port serving multiple ONTs (optical network terminal). The most common split ratios are 1:N or 2:N. N represents the output ports, usually as 2, 4, 8, 16, etc. The optical input power is distributed uniformly across all output ports. The PLC splitter shares the cost and bandwidth of the OLT and reduces fibre lines. This article will tell about how to keep a high quality PLC splitter from manufacturing to testing sides. PLC splitter is composed by many miniature parts. Among them, there are three main components: fibre array for the input and output, and the chip. These three main components decide whether the PLC splitter is of good quality or not. Let’s see the key manufacturing steps of a PLC splitter. The PLC circuit chip is designed and embedded on a piece of glass wafer. Each end of the glass wafer is polished to ensure high precision flat surface and high purity. The V-grooves are grinded into a glass substrate. A single fibre or multiple ribbon fibre is assembled onto the glass substrate. This assembly is polished. After preparing the three components, it’s time for alignment. The input and output fibre array is set on a goniometer stage to align with the chip. Physical alignment between the fibre arrays and the chip is monitored through the power level output from the fibre array. Epoxy is then applied to the fibre array and the chip to affix their positions. The assembly will be placed in a UV chamber to be fully cured at a controlled temperature. The bare aligned splitter is assembled into a metal housing where fibre boots are set on both ends of the assembly. A temperature cycling test will be done for a final screening to ensure the final product condition. Optical testing items include insertion loss, uniformity and polarization dependent loss. This testing is to ensure the splitter compliant to the optical parameters in GR-1209 CORE specification. Then how to determine the quality of a PLC splitter? The GR-1209 standards provides comprehensive optical performance criteria. The following will introduce these specifications such as optical bandpass, insertion loss, return loss, uniformity and directivity. In a PON system, the downstream transmission uses 1490nm wavelength and 1310nm wavelength for the upstream transmission. Besides, the requirement for RF video overlay and network testing/maintenance should also be considered. The transmission wavelength for RF video is 1550 nm. And the wavelengths for networking testing and maintenance are 1550 nm and 1625 nm. So the standard opterating wavelength for a PON splitter is determined as 1260~1650 nm which covers most of the optical bands. The optical splitter has the largest attenuation in a PON system. The insertion loss transfers from the input port to the output port. In order to conserve the power of a PON system, the insertion loss should be reduced to the least. There are formulas to calculate the maximum insertion loss of an optical splitter in a PON system according to the GR-1209 standard: 0.8 + 3.4 log2N (for 1xN optical splitter) and 1.0 + 3.4 log2N. To decide if the insertion loss is in the qualified range, you need to choose one formula to calculate. Optical return loss is part of the power transferred from one input port back to the same input port or from an output port back to the same output port. A high return loss will influence the data transmission quality. So it’s important to minimize the noise to keep the PON system power for a better transmission. Uniformity means the maximum insertion loss value between one input port and any two output ports or between two input ports and one output port. This can ensure that the transmission power at each splitter output port is the same in a PON system to simplify the network design. Directivity is the part of power transferred from one input port to another input port or from an output port to another output port. For a 2xN optical splitter, when light injects into one of the input ports, light doesn’t only propagate out of the output ports. Some of the light propagates back through the second input port. And when the light injects into one of the output ports, light propagates back through the other output ports. In a bidirectional transmission system such as a PON, directivity is useful to reduce signal crosstalk. A high directivity value will increase the insertion loss due to the optical power loss. FS.COM provides a variety of PLC splitters including 1×2, 1×4, 1×8, 1×16, 1×32, 1×64; 2×2, 2×4, 2×8, 2×16, 2×32, 2×64 in various package options, which offer cost-effective solutions for your applications. To ensure high performance, we have set a quality assurance program for PLC splitter. We always care every detail both in manufacture and testing. For detailed information, please contact us via sales@fs.com. This entry was posted in FTTH Network and tagged OLT, ONT, PLC splitter, PON on May 21, 2016 by laura. EPON vs. GPON—Which Will Be More Popular? With the development of passive optical networking (PON) technology, two PON standards are striking in FTTH solution area and they are Ethernet passive optical networking (EPON) and ATM (asynchronous transfer mode)-based Gigabit passive optical networking (GPON). During these years, it has become a hot topic that which will be more popular in broadband access and optical telecom applications, EPON or GPON? This article will compare these two technologies from the differences of architecture, bandwidth, efficiency, cost, etc. The biggest difference between the two technologies shows in architecture. EPON employs a single Layers 2 network that uses IP to carry data, voice, and video. While GPON provides three Layer 2 networks: ATM for voice, Ethernet for data, and proprietary encapsulation for voice. EPON provides seamless connectivity for any type of IP-based or other “packetised” “communications”. Since Ethernet devices are so popular and easy to get, implementation of EPONs can be highly cost-effective. In GPON, virtual circuits are provisioned for different kinds of services sent from a central office primarily to business end users. This kind of transport provides high-quality service, but includes significant overhead because virtual circuits should be provisioned for each type of service. GPON equipment requires multiple protocol conversions, segmentation and reassembly (SAR), virtual channel (VC) termination and point-to-point protocol (PPP). EPON delivers symmetrical bandwidth of 1 Gbit/s. EPON’s Gigabit Ethernet service actually constitutes 1 Gbit/s of bandwidth for data and 250 Mbit/s of bandwidth for encoding. GPON promises 1.25-Gbit/s or 2.5-Gbit/s downstream, and upstream bandwidths scalable from 155 Mbit/s to 2.5 Gbit/s. GPON’s 1.25-Gbit service specifies a usable bandwidth of 1.25 Gbit/s, with no requirement for encoding. Gigabit Ethernet interfaces to the aggregation switch, central office, and metro are currently cost-effective to aggregate 1-Gbit ports for transport. But for 1.25 Gbit, there is no way. Efficiency has to be considered in both directions of a PON. Each PON protocol introduces its own overhead in either direction. In the downstream direction, protocol overhead could be negligible. In the upstream direction, the total scheduling overhead within EPON is from 90.33 percent to 97.08 percent compared to a GbE point-to-point link. In the downstream direction, EPON efficiency reaches from 97.13 percent to 98.92 percent of the efficiency of a point-to-point 1GbE link, while GPON in GTC Encapsulation Method (GEM) mode can achieve ~ 95 percent efficiency of its usable bandwidth. The downstream EPON data rate can be doubled to 2.5Gbps comparable to GPON. EPON simplifies the networks and needs no complex and expensive ATM and Sonet elements. Thus it helps lower the costs to subscribers. Now the cost of EPON equipment is about 10 percent of the costs of GPON equipment. Encryption is part of the ITU standard. EPON uses an AES-based mechanism, which is supported by multiple silicon vendors and deployed in the field. And EPON encryption is both downstream and upstream. However, GPON encryption is downstream only. EPON is an IEEE Ethernet standard and uses Ethernet switches within its silicon, it can natively support all of the 802.1 and 802.3 Ethernet, including VLAN tags, prioritisation, OAM, etc. All Ethernet services can be natively delivered in a manner identical to what is done with switched Ethernet today. As to GPON, it only defines the transport of Ethernet frames. So it has no native Ethernet functionality. Ethernet switches must be placed either in front of or within GPON OLTs and ONTs to provide any additional Ethernet capabilities. EPON and GPON technologies have been introduced into the market because of service quality and price point. By comparing the differences of the two technologies, it shows EPON is a superior technology for delivering residential and small-to-medium enterprise Ethernet services in terms of its advantages in bandwidth, efficiency, cost, encryption and Ethernet features. So EPON will be employed in FTTH solution area in a large scale earlier and faster than GPON. This entry was posted in FTTH Network and tagged EPON, FTTH, GPON on December 28, 2015 by laura.